Mobile data is costly, and websites bogged down with ads can be frustrating for users. Ads slow down page loading time, can be invasive from a tracking standpoint, and quickly hog data allowances. So what can mobile users do block undesired content on their devices? 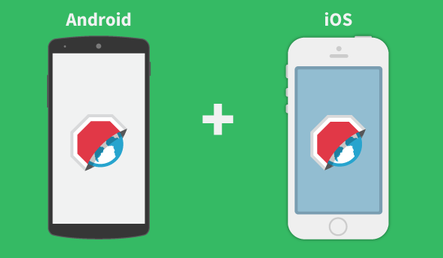 Adblock Plus is now available for iOS and Android! Please note: At time of posting, iOS does not support default browsers. Should you click on a link in any other app, it will still default to open in Safari.